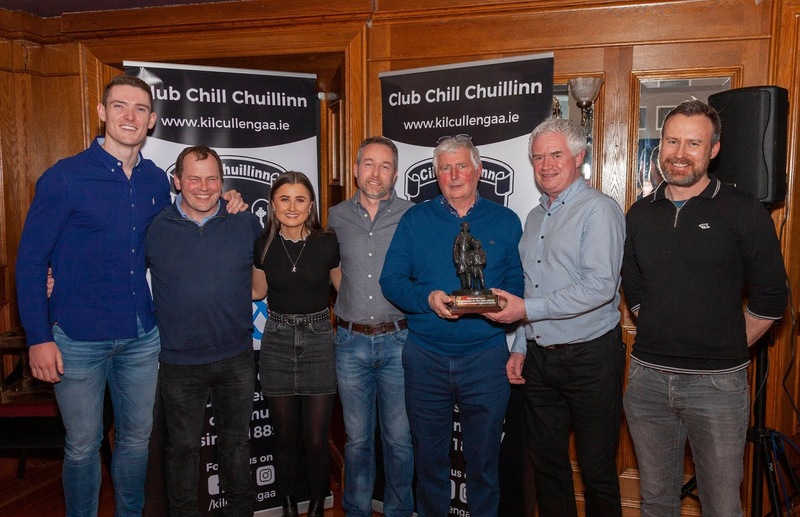 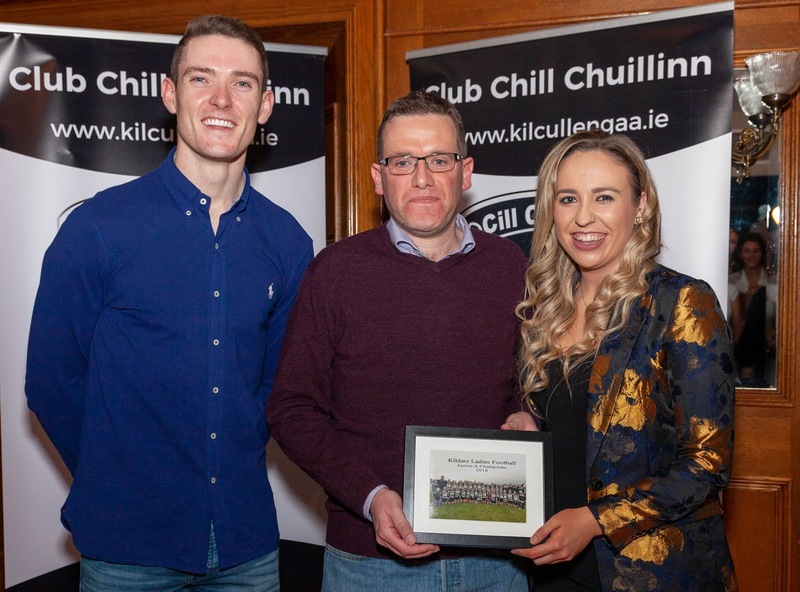 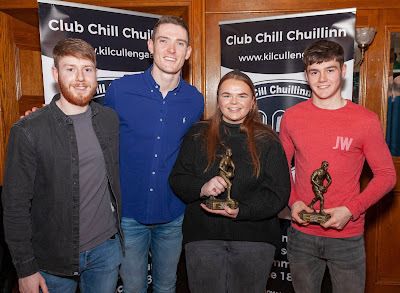 Kilcullen GAA Awards were presented in O'Connells Bar last evening by Dublin footballer Brian Fenton, 2018 Footballer of the Year and a three-times All Star, writes Grainne Timmons of Kilcullen GAA. The Minor Ladies Management team Conor O'Toole, Gabrielle and Fergus Aspell and Trevor Howard were presented with framed team photos from the county final. 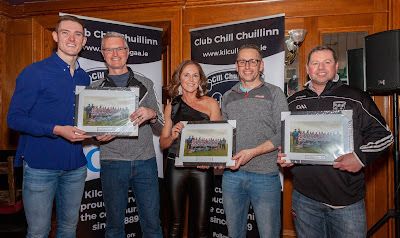 The Senior Ladies management team Niall Timmons, Dan Bell, Aidan Gleeson and John Glendon were also presented with pictures from county final. The Feile Girls All Ireland winning coaches were presented with the Club Person of the Year award — Pat Devenney, Ger Breen, Nick Birchall, Kate Timmons and Eddie O'Loughlin. 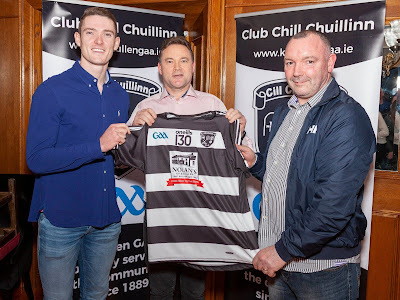 The occasion also launched the new Senior team jerseys sponsored by Nolan's Butchers, which this year also carry the 'Opt For Life' logo promoting Organ Donor awareness. 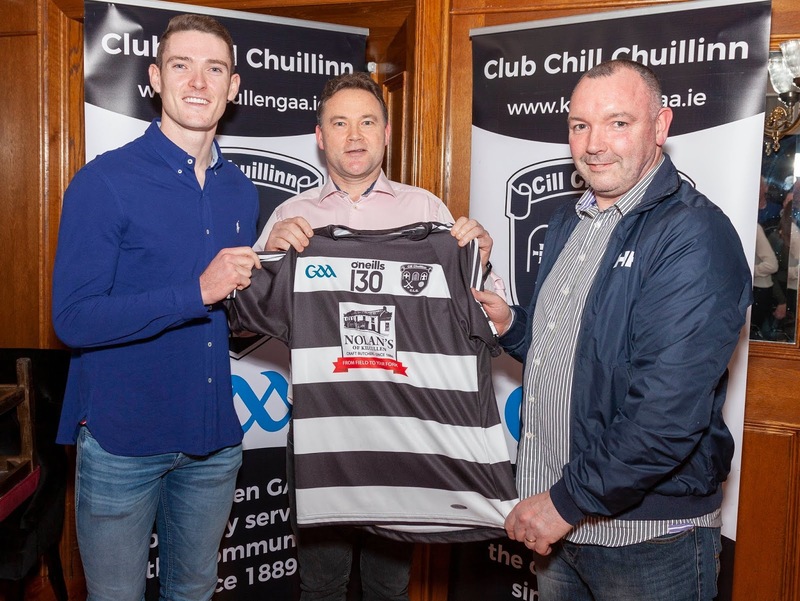 Pictured above with the jersey are Brian Fenton, James Nolan and Senior manager Jarlath Gilroy. 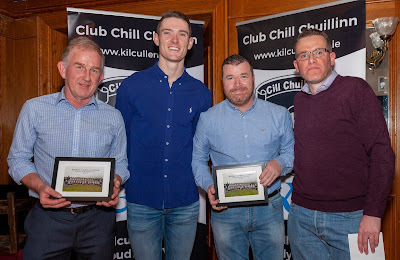 The presentation pictures above are courtesy of Conor Williams, and the pictures below of some of those enjoying the evening are by Brian Byrne.